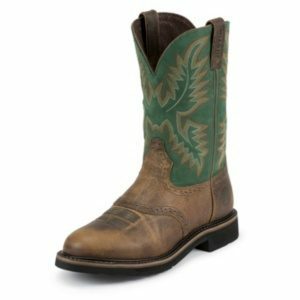 Jones Boots – Boots, Boots and More Boots! Jones Boots was established by Ronnie Jones in 1974. The business opened in the same building they are in today with 2 employees and an inventory of 500 pairs of boots. Jones Boots has been in the Jones Family for 4 generations and customer satisfaction has always been our number one priority. Jones Boots has had a steady increase in sales ranging from 5% to 20% every year since opening in 1973. The success is due to our outstanding customer service, quality selection and great prices. Every customer receives personalized first-hand service from our professional staff. The store has gone through several renovations during many years of service. The most recent change was in 2000 the store expanded their showroom, storage space and offices. The store currently has a staff of 9 employees and houses over 6,000 pairs of boots. We also carry a wide range of denim, hats, belts, jewelry and boot care products.